Positional chess is linked to the core understanding of the game and perhaps the hardest part of chess to improve. You can work on tactics, endgames and opening theory all you want, but that won’t help you at building your positional understanding. Positional understanding is something which comes with experience, and requires a special attention for most players. What is the main difference between a Grandmaster and an amateur? Is it the opening knowledge? Tactical wisdom? The endgames skill? No... It is the understanding of positions on a very fundamental level, or what’s called the positional understanding. Do you know why the Grandmasters win every time against amateurs? Grandmasters win because they understand the position on the board much better at any given time and know, even without any calculations, what’s the next best move should be. The problem that most amateur players face nowadays is the lack of positional understanding. Most players work on tactics, openings and endgames but fail to improve perhaps the most important part of the game: the Middlegame. That’s quite illogical, taking into account that the majority of chess games are decided in this stage. 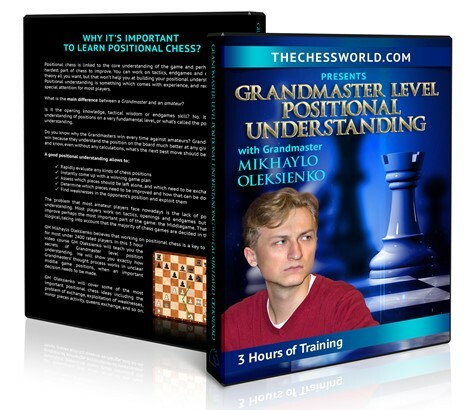 In this 3 hour video course, GM Oleksienko will teach you the secrets of Grandmaster level position understanding. He will show you exactly how Grandmasters’ thought process works in unclear middle game positions, when an important decision needs to be made. 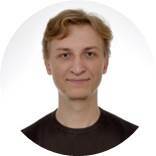 GM Oleksienko will cover some of the most important positional chess ideas including the problem of exchange, exploitation of weaknesses, minor pieces activity, queens exchange, and so on. Instant download of the 3+ hour long, positional chess video course with GM Mykhaylo Oleksiyenko. This video covers the most important positional concepts that any competitive chess player must know. is a strong International Grandmaster, winner of many International Chess Tournaments including David Bronstein Memorial, 20th Abu Dhabi Chess Festival , ZMDI Open, etc. GM Oleksiyenko is also a coach of the Netherland Women’s Chess Team and a Certified FIDE Trainer.